Professional Engineer and a Non Destructive Testing (NDT) Expert in Civil Engineering with over 20 years of experience. 2013 - registered as Chartered Civil Engineering Surveyor / Professional Engineer ('Rzeczoznawca budowlany'). 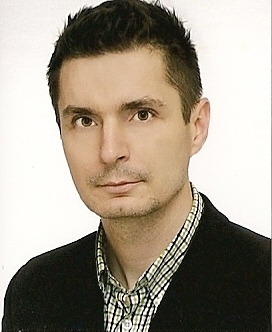 2009 - PhD degree in civil engineering at the Technical University of Warsaw, Civil Engineering Department, Poland. Dissertation – ‘Steel corrosion in reinforced concrete bridges in relation to concrete condition in structure’. 2002 - certified as Chartered civil engineer. 1996 - M.Sc.Eng. in civil engineering and construction. 2009 - 2018 - a Research Manager in TARCOPOL Sp. z o.o. Polish-Danish company, Wroclaw, Poland. Consultancy – expert opinions concerning technical condition, possibilities of further utilization, methods and costs of the rehabilitation over 100 civil and industrial constructions such as RC, pre-stressed and post-tensioned concrete and steel structures, Bridge surveys. Quality Control & Quality Assurance (QC) - proficiency in advanced nondestructive (NDT) and in-place testing of civil engineering constructions (concrete quality, steel corrosion and internal defects location in concrete). Designing of civil engineering constructions – repair & rehabilitation, strengthening & reconstruction and protection of the concrete structures.